Dunkin' Donuts Oreo Donut: HALLOWEEN COOKIE DUNKER! 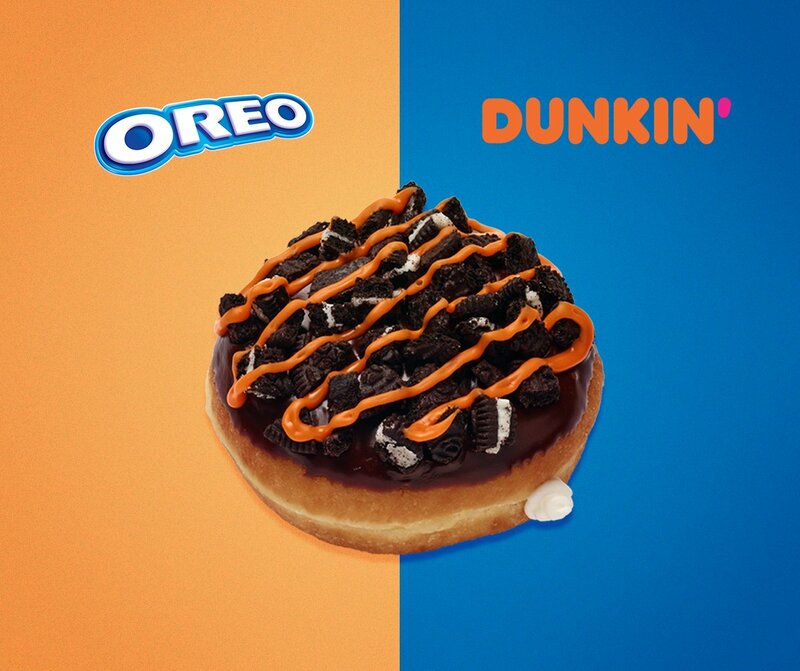 Dunkin' Donuts is getting into the Halloween spirit with their NEW Oreo Donut. There're no tricks to this ghostly treat which packs deep chocolate flavor and a delicious blast of vanilla creme. Dunkin's Oreo Donut fills a yeast donut with smooth vanilla creme then tops it with rich chocolate icing, Oreo cookie chunks and an orange icing drizzle. This dunker boasts an eye-popping Halloween color scheme and gobs of Dunkin' and Oreo flavors and it's totally SPOOKTACULAR!